When promoting a product it is important to highlight all of its possible applications. 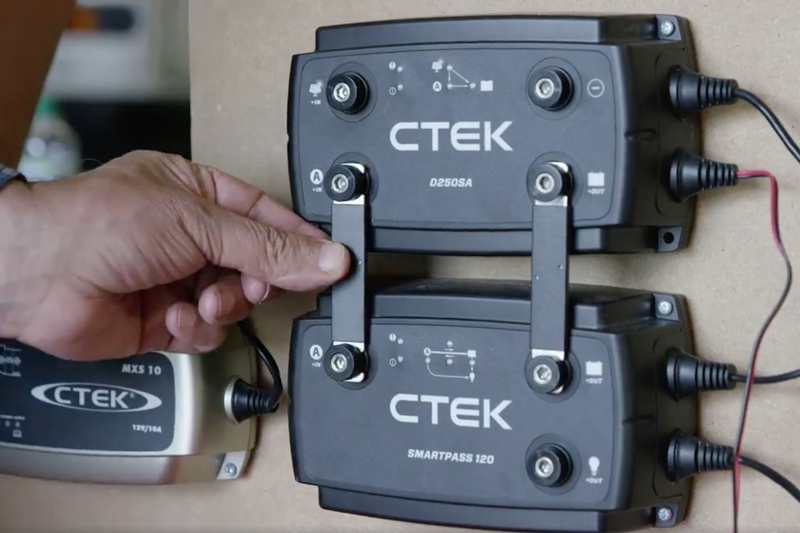 CTEK believes that its range of on-board charging systems, which are perfect for RV and caravan applications, can make the difference to a factor’s retail offering. The recreational vehicle (RV) market is growing. Even with the influx of cheap flights, many Brits are choosing Padstow over Portugal, Keswick over Kos, and taking their motorhome or caravan into the British wilderness. This hot summer can only have inspired more of us to enjoy the British summertime, and 2019 will see more of us ‘staying local’ for our holidays. Just like any other vehicle on the road, the RV motorhome or camper enters the workshop for MOT, service and repair. This presents an opportunity to not only sell products for the RV, but also to install them too. Presentation, promotion and knowledge of the product’s USP’s is key. CTEK has recently launched two complete on-board charging systems that can be sold as a standalone DIY fit product or as a professionally installed product when the vehicle enters the workshop for maintenance or repair. Designed to maximise the performance of leisure batteries (that important second battery that powers lights, fridges, etc.) and provide information about the state of battery charge, these easy to install systems deliver peace of mind, giving RV owners the freedom to get the most from their leisure time. Available as a 20A Off Grid and a 140A Off Road solution, both systems combine a powerful charger, together with a handy monitor that continually checks battery voltage and capacity. A digital display unit advises of state of charge, together with the number of hours of power available. Drawing its energy primarily from the vehicle alternator, the CTEK Off Grid charging system delivers a safe, powerful 20A charge to the leisure battery, whilst on the move. Developed for use with smart alternators, meaning that the system won’t shut off even if the smart alternator does, the system also features a specific AGM charge voltage to enable a faster charge for AGM batteries. A solar panel connector enables additional maintenance charging of both the leisure battery and starter battery when parked in daylight. 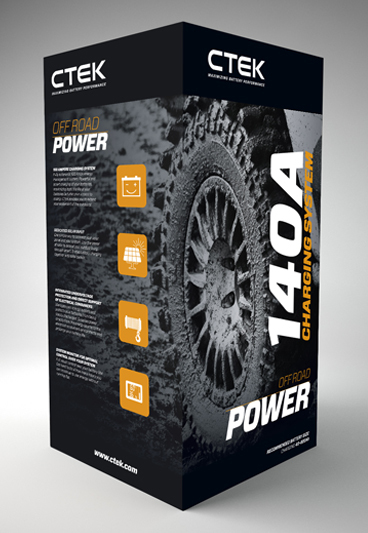 Whilst offering the same functionality as the 20A CTEK Off Grid system, the CTEK 140A Off Road charging system is capable of delivering up to 140A of charge current and will also ensure critical devices, such as emergency lighting always function. When the voltage on the leisure battery is low, the Off Road charging system will protect the operation of critical appliances by disconnecting non-essential items until there is sufficient power to reconnect. It also features a Start Assistance function that uses power from a service battery to start the engine if the starter battery is flat. 1. Display the products with other related items, and, in the case of these particular CTEK products, items such as leisure batteries and inverters. 3. Be able to direct customers to film clips/YouTube channels to show how easy it is to install and the benefits of the system. 4. Have a list of trusted installers. Your recommendation can have a big impact on your own reputation, so make sure you really do trust them! 5. Have a clear idea on installation costs so they have the complete picture. By taking a solutions approach to product promotion, with an eye-catching retail display that fully puts your customer in the picture; you have the opportunity to sell lifestyle solutions rather than individual products. For more information on CTEK’s on-board charging systems, click here.